One of the hot topics for 2014 is Big Data. Everyone is talking about it. Where to store all that data, how much it's going to cost to secure it, how accessible it is. Data is only really important to organisations when it can be turned into information that enables effective business decision making. Management Dashboards, if deployed effectively can turn all that data into powerful information that allows managers to spot trends, predict potential problems and act before they affect the business and ensure the business operations are running as expected. 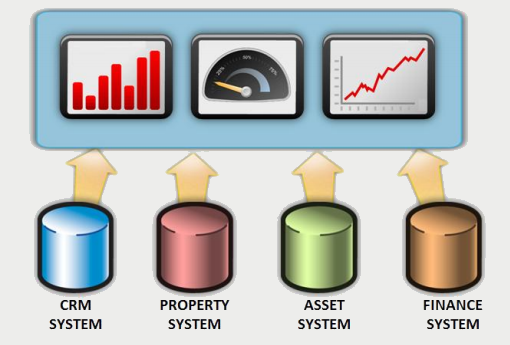 Our management dashboard can pull information from any business system regardless of whether it is a ROCC system (such as our Social Housing Repairs Management system) an off the shelf solution such as MS Dynamics or a bespoke in house developed application. Using the latest business intelligence tools from Microsoft and coupled with an easy to use user interface, the ROCC Management Dashboard provides a simple way to turn that big data into big information. You can find out more by reading our white paper "Effective Deployment of a Management Dashboard" or taking a look at our produce page "Management Reporting"